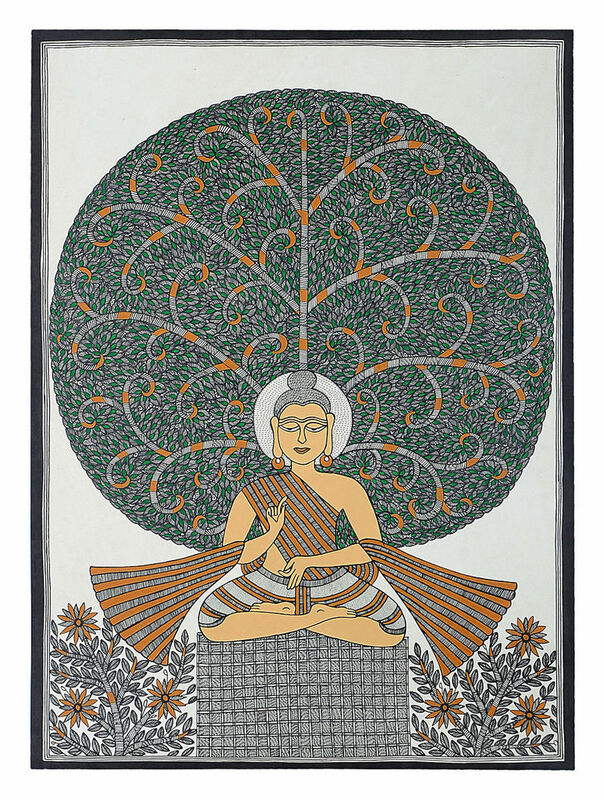 This intricate Mithila, or Madhubani painting, is the creation of various prominent Madhubani folk-artists of India. Exhibiting earthy undertones and exceptional workmanship, this makes for a beautiful decor accent for an art lovers study or living spaces. This piece of art comes without frame and might contain slight irregularities which add to its unique charm. Dispatched in a maximum of L business days. This item is not eligible for return or cash on delivery (COD). Cancellation requests will be accepted strictly within 24 hours of placing the order only.